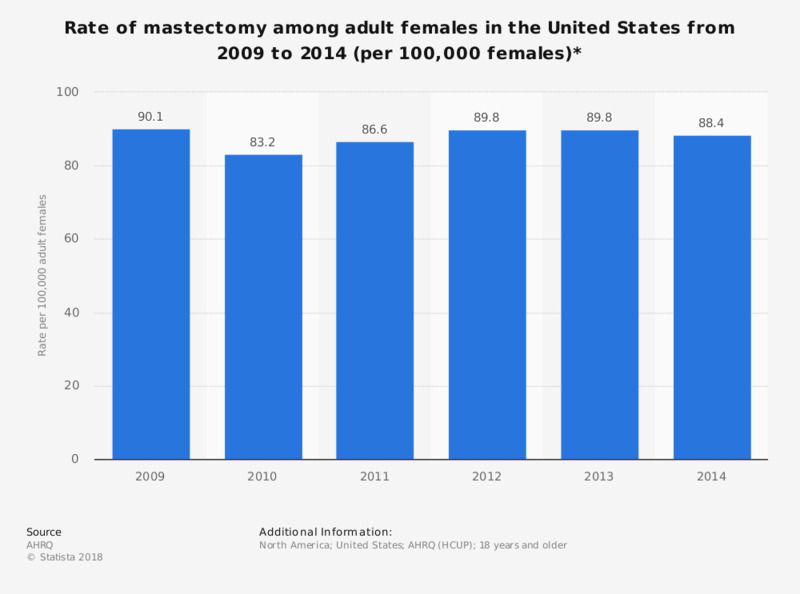 This statistic presents the rate of mastectomy among adult females in the United States from 2009 to 2014. It was found that in 2014 the rate of mastectomy was 88.4 per 100,000 adult females in the U.S.
* Rate per 100,000 adult females. Do you think a preventative mastectomy should be recommended for women who have a BRCA gene mutation and a family history of breast cancer?